Researchers from three academic centres, supervised by Prof. Wojciech Młynarski from the Medical University of Lodz, want to develop an innovative cellular therapy to cure congenital immune deficiencies. The research project has received co-funding from the Foundation for Polish Science as part of the TEAM-NET programme implemented from EU resources under the Smart Growth Operational Programme. Congenital immune deficiencies result from specific genetic defects. Their consequences may include an insufficient number of neutrophils which form a group of white blood cells. This medical condition is referred to as neutropenia. Congenital neutropenia arising from genetic defects is a serious disorder which occurs mostly in children and leads to a high risk of life-threatening infections. Things look slightly different in the case of neutropenia resulting not from genetic defects but from immunological disorders. “It may happen that a child’s immune system is slightly dysfunctional and, following a viral infection, it starts producing antibodies that are harmful to neutrophils. This leads to a temporary decline in the number of white blood cells, coupled with an increased risk of infections which, however, are rarely life-threatening. This type of neutropenia should not constitute the reason for delaying protective vaccinations in children,” said Prof. Wojciech Młynarski. Unfortunately, paediatricians are currently unable to differentiate between genetically- and immunologically-conditioned neutropenia, and they usually decide not to perform protective vaccinations in any patient with diagnosed neutropenia. Due to neutropenia, in Poland around 3,000 children are not vaccinated annually, which has a material impact on the overall population health. Polish researchers believe that congenital neutropenia can be effectively cured. Currently, they are working on developing efficient methods to diagnose and treat such kinds of immune deficiencies. “Our first goal is to develop an efficient, easy-to-use and cheap diagnostic test to differentiate between neutropenia arising from genetic and non-genetic causes. We also wish to identify new, previously undiscovered genes responsible for congenital neutropenia, as currently the exact genetic cause, i.e., the responsible gene, remains unknown in around 30-40% of such neutropenic patients. 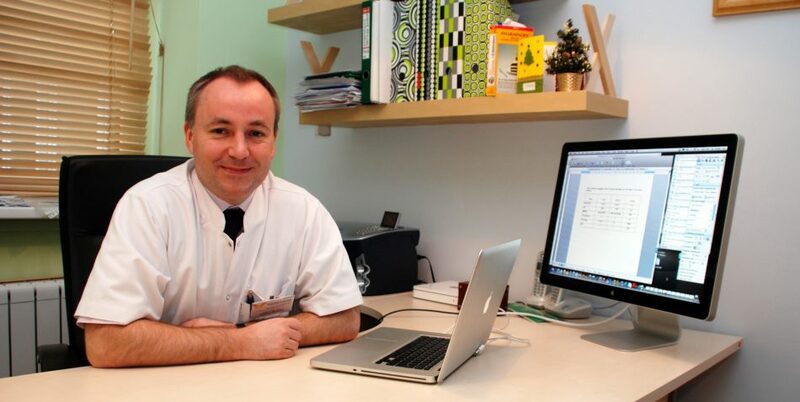 The third goal is to develop and introduce to clinical practice an innovative therapy for congenital neutropenia, based on what is known as gene editing,” explained Prof Wojciech Młynarski. This is an extremely ambitious goal, and the researchers undertaking the project will make a step towards its achievement. Specifically, they will collect bone marrow samples from patients with congenital neutropenia to isolate blood stem cells that are precursors of all blood cells, including neutrophils. Then, under laboratory conditions, they will repair the genetic errors identified in the stem cells and use the repaired stem cells to grow healthy neutrophils which, once verified in functional terms, the researchers will seek to apply in the patients. “It seems that this method will make it possible to cure congenital neutropenia. What appears important is that, while performing the procedure, we will be analysing the whole genome of individual cells to verify whether our gene editing efforts have not exerted a negative impact on any genome fragment or, in other words, whether no damage has occurred during neutrophils repair,” stressed Prof. Młynarski. The congenital neutropenia treatment method proposed by the researchers has a chance of replacing allogenic bone marrow transplants that are currently used to treat such cases. Its drawback, apart from the high costs and health risk, stems from the fact that as many as 10-20% of the patients in need of transplantation will never find a matching donor. The new method based on gene editing will be more accessible, far less taxing on the body, and probably much cheaper. The research project entitled “We will cure neutropenia (FIXNET)” has received a funding of nearly PLN 23 million from the Foundation for Polish Science. This amount will enable the creation of a consortium of five research teams working jointly to solve the problem of congenital neutropenia. The consortium will comprise, inter alia, medical doctors, geneticists, molecular biologists, cell biology specialists and chemists from three academic centres: the Medical University of Lodz, the Jagiellonian University in Kraków, and the Wrocław University of Technology. The project “We will cure neutropenia (FIXNET)” is one of the five projects that received co-funding in the TEAM-NET programme competition concluded in March. The Foundation for Polish Science’s TEAM-NET programme provides funds for interdisciplinary research implemented through a network of cooperating research teams led by prominent and experienced scientists. In addition to facilitating the implementation of innovative research in Poland, the objective of the programme is to intensify supra-regional cooperation between research units and to develop competencies regarding the use of available infrastructure and research services. Based on the competition requirements, the budget of a research project can amount to PLN 3.5 million per team, for a period from 36 to 48 months. Applications for the TEAM-NET competition could be submitted in October 2018, and in March 2019 the Foundation for Polish Science announced competition results. As many as 39 project applications were submitted, of which 5 received co-funding for a total amount exceeding PLN 105 million. The winning projects received the highest number of points in the substantive assessment. The TEAM-NET competition is managed by the FNP using EU resources from the European Regional Development Fund as part of the Smart Growth Operational Programme.